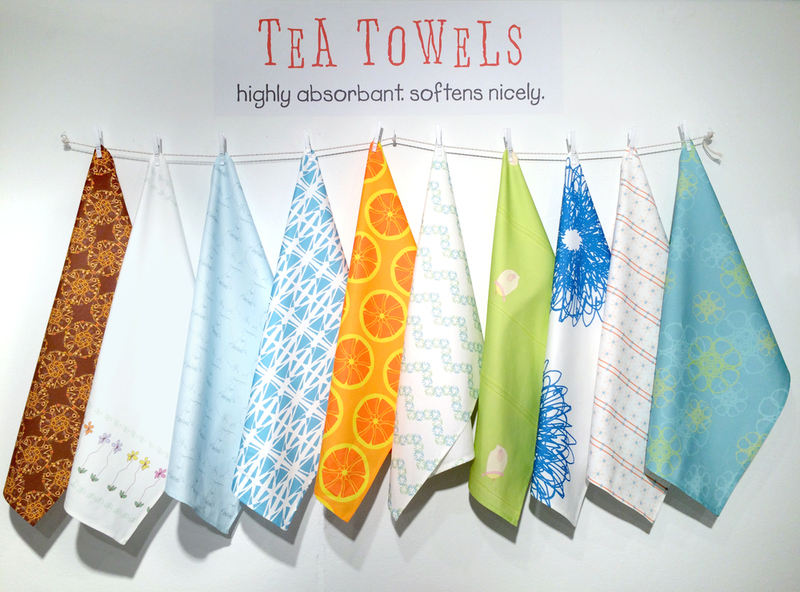 Don't let the fun and beauty of these tea towels fool you! These hand-drawn tea towels not only feature original shawn sargent designs with a charming retro vibe, they also absorb incredibly well and dry quickly (much better than their cotton counterpart). Each towel is a durable linen-cotton blend, making it highly absorbent and a workhorse in the kitchen. Easy to care for, just machine wash and dry. Due to the linen content, some wrinkling occurs and you may prefer to give it a quick iron after washing. The towels soften nicely with every use, and the colors stay vibrant. Towels measure 17" x 27" approximately.